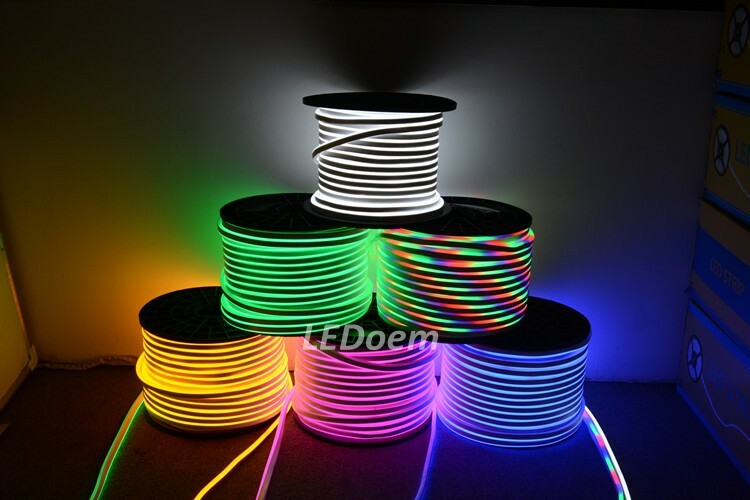 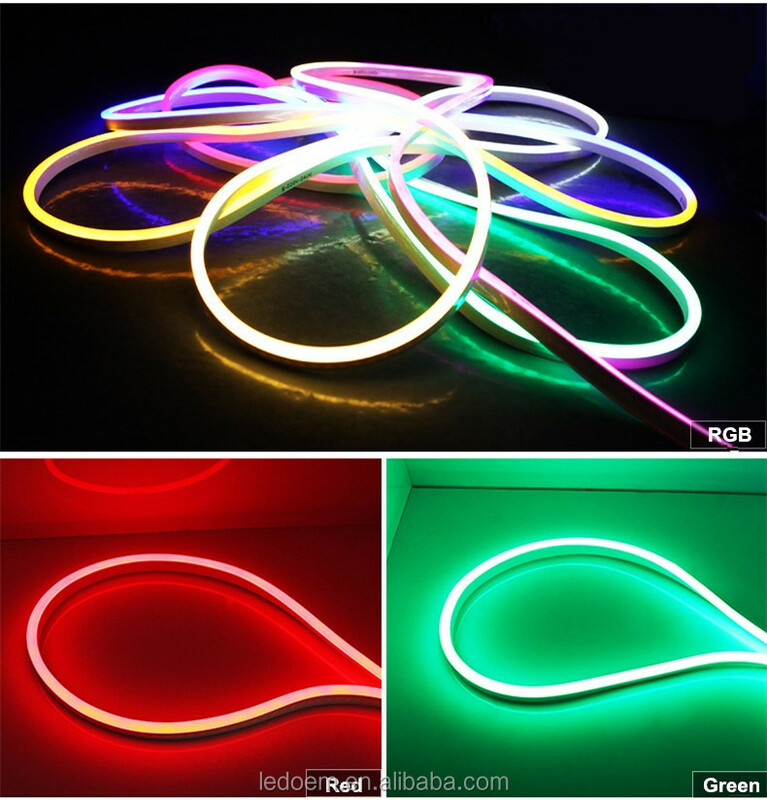 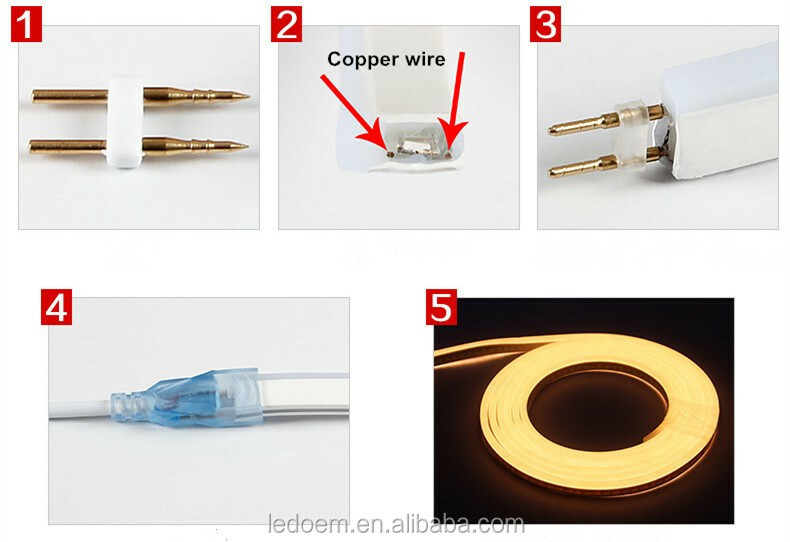 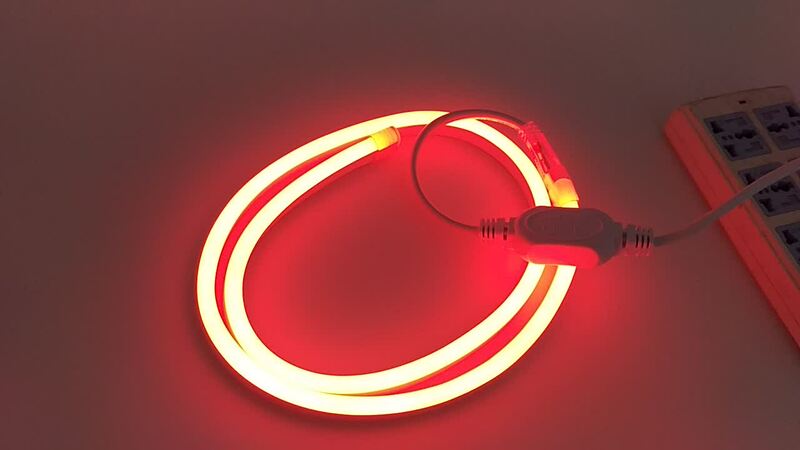 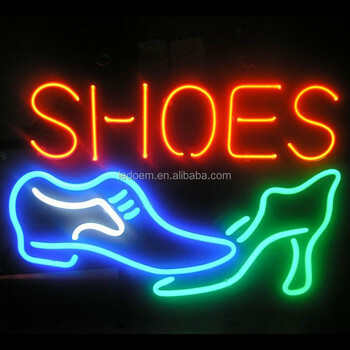 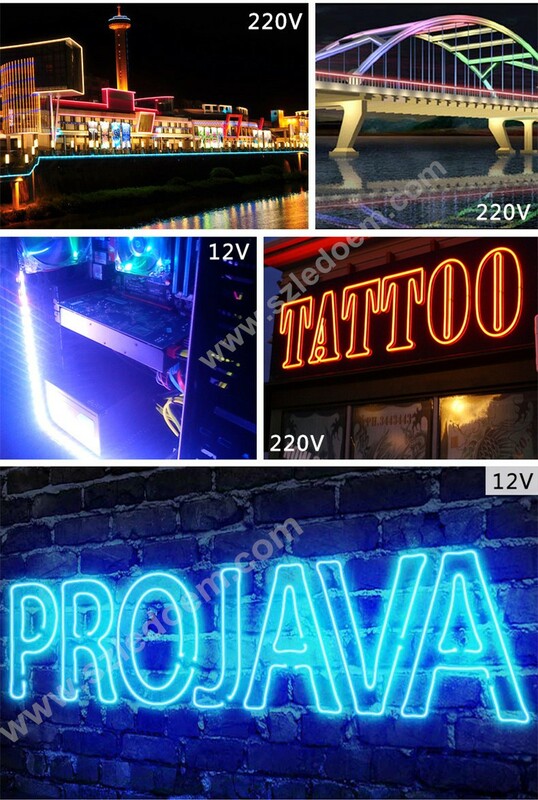 LED Neon Flex uses superior grade ultra-bright LEDs. 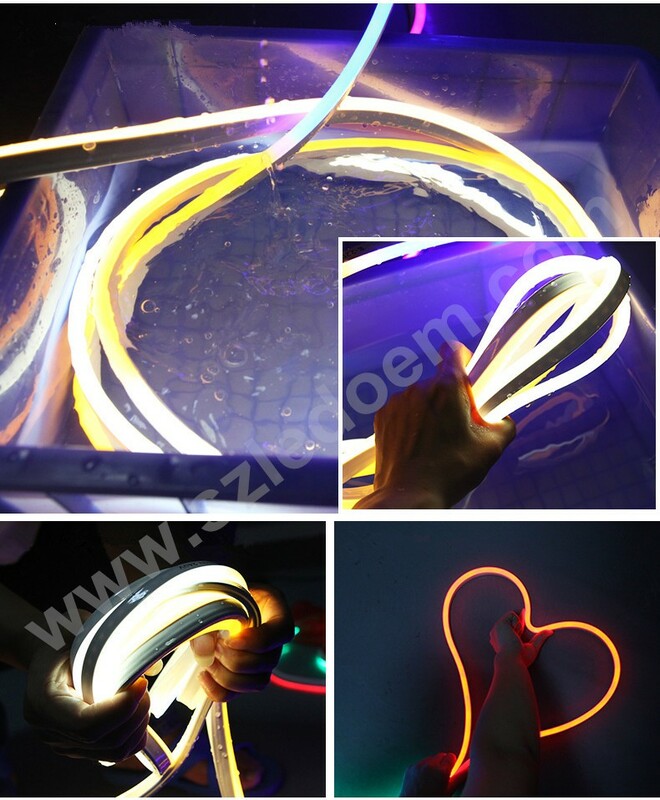 The outer jacket of the LED Neon Flex is constructed of two layers of PVC which has an effect on the optical enhancement of the LED colour and light transmission efficiency. 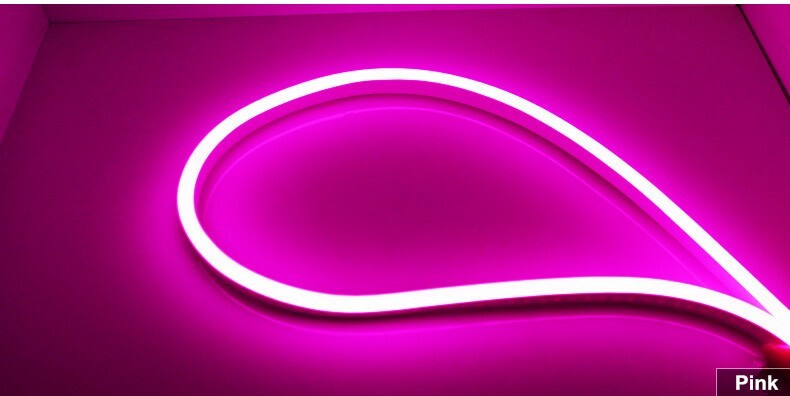 As such LED Neon Flex maintains the highest stability and lowest amount of lumens depreciation over time "longer-life". 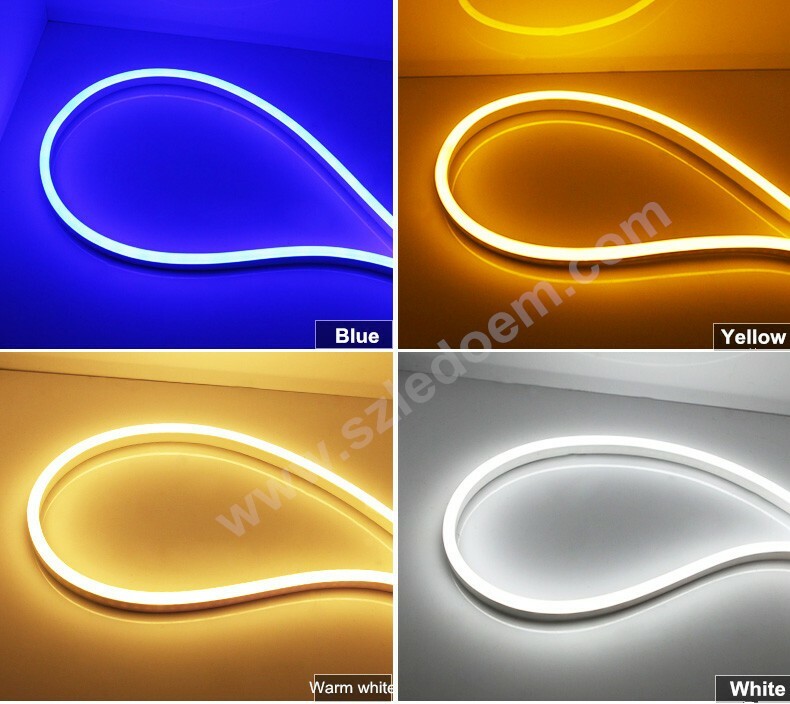 Additionally LED Neon Flex is structured with a white PVC base jacket that is designed to reflect "shape" the light that is emitting from the LED and to redirect the light upward and outward to the surface of the product thus enhancing the actual and perceived brightness. 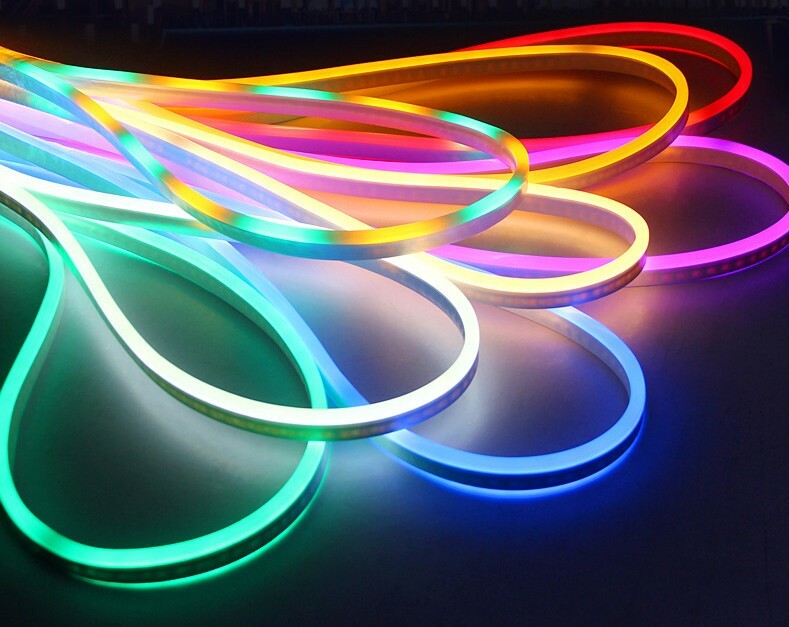 All of the factors above also contribute to the lack of Chromatic Aberrations with LED Neon Flex.